Block chain technology is a revolutionized concept which began with Bitcoin. Not just Bitcoin, but Ethereum is also one of its applications and the use and research on block chain began with them. Blockchain is a database that is controlled by not just a central authority, but by a community. The community which is very wide oversees and regulates the collection of details and records, the data hosted by a server. Let�s split the words block and chain and look at its significance. Transactional records are represented or symbolized by �block� and the relationship or link between them is the �chain�. They are linked by a hash function. What is a hash function? It is a function that is used to map data of any size, be it arbitrary or fixed. The results returned by hash function are in the form of hash codes, digests, hash values or just hashes. These functions are also used for quick data searches through computer software, as data structures names hash tables. The main use of this function is the detection of duplicated entries and data, increasing the efficiency of data search. The hash for each block is decided from the information represented by each block. The consequent block will contain the hash from the previous block to link both the blocks together and this works throughout thus forming the network or chain of blocks. Any mismatch will break the chain. Thus, this is a very secure data storage technology. Any break in the chain will indicate mismatch of hashes when investigated thus alerting the authority community that someone is hacking or trying to mess with their records. A particular block chain operated on a set of computers is retained only on these, thus not letting just a single authority or individual regulate it. This helps in data storage security as no single individual can just go change a detail or two, making this easily comparable to a public record. Block chain has been popularized only recently, maybe a decade or two. But its birth was long ago. �New Directions in Cryptography�, a paper published in 1976, was about a new idea of a ledger which is mutually distributed and this is the essence of our concept of block chain, after all. The paper to follow up on this idea was published in 1990, �How to Time-Stamp a Digital Document�. Block chain is not a completely new technology created from scratch. It is rather the integration of popularly known technologies that have been established for some time. 3. Program (This is the program reading out the protocol for blockchain). The symphony of these in an organized and steady manner gives us the complex blockchain with its simple idea. The need to mention this arises again, the use of these technologies together along with hash doesn�t give us the necessity to bring in a third party or trust them uncertainly with all the records and entries. Every single transaction and change is broadcast across the network of computers that block chain is being maintained in. All of us remember what bitcoin is. It created quite an interest in the media. It is an open-source payment method which doesn�t deal with banks and governments. But what this does do is to perform transactions on a public platform where a network is what that issues bitcoins and no single person owns Bitcoin or controls it. They make quick peer-peer transactions. Bitcoin was first started being used in 2009. It was when block chain was first put to use though not states explicitly but soon was discovered that bitcoin was indeed an extension of the ledger which is mutually distributed and the block chain and how it is not controlled by a single person or authority and that transactions could be performed without any interference. To make block chain work just like a physical collection of entries or a ledger, this technology uses a lot of complex calculations and algorithms. This is fulfilled by advanced level computers which are very well known to be expensive and more so for maintenance and operation too. Bitcoin was put into the market first so that after all the toil of hard work and expenses, you would be rewarded financially. You would get something in return of great value. Every application of blockchain technology, including Bitcoin and Ethereum, uses this concept in a different way as in requirement for its purpose. Like any other application, these also keep getting revised and updates and changes are made as and when new ideas are discovered and approved for improvement. In the bitcoin�s blockchain, there is a new block created almost every 10 minutes. The purpose of the new block is to verify new transactions taking place and recording them. This certification is needed to be done before a particular bitcoin transaction. However, bitcoin transactions are instantaneous. The calculations for the certification result in a number that is supposed to verify the information in the new block. It is a complicated calculation which requires advanced computer software and hardware. The limitation here though is the backlog due to the humungous number of transactions, the large size of data and the time in which the calculations have to be performed so that the transaction can seem instantaneous to the user. The point is the once-in-10-minutes new block creation which results in longer time for verification leading to backlogs. This problem doesn�t occur in the case of Ethereum as the time for new block creation is once in 10 to 20 seconds and for Litecoin, it is 2 and a half minutes.But the faster the rate of creation of new block, the faster the records entered and verification, the more the chances of errors in the calculations and processes. A source says that if 51% of computers part of a block chain network records an error, the error is incorporated properly creating a lot of trouble. This means only a few computers will begin to work on the creation of new blocks. Let�s say there are two authorities wanting to interact. Each has a private key and a public key. A combination of a private key and a public key will give you a digital signature which is the final key of ownership. A digital signature also gives the identity. Anyone in possession of a particular digital signature will give access to its corresponding block chain. This signature though, provides only authentication. �Distributed networks� is what provides the authorization for performance of transactions and permissions. 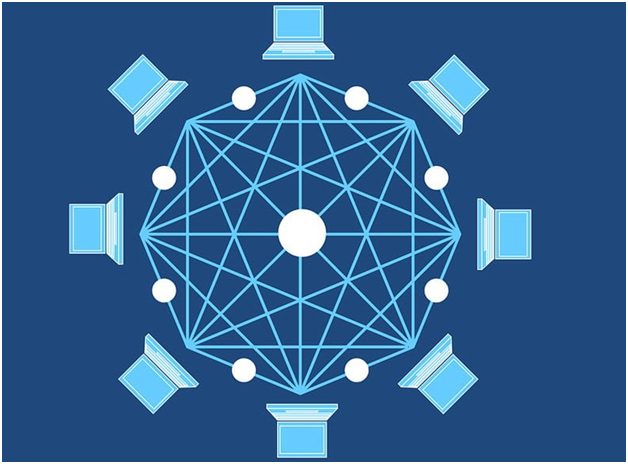 The distributed network refers to the network of computers that verify a transaction which is broadcasted across the network. The verification is made possible mathematically. The interaction between keys to be made into combinations can be of several ways. In bitcoin, one user takes his private key and sends a sum of cryptocurrency through it to attach to another user�s public key. Data pertaining to the records being stored by that specific block chain. Mining is another important part of block chain. In mining, a reward is given to a computer when it gives processing power to a network of computers for block chain purpose. Thus, in return for public work, a reward is given to the individual keeping in mind their self-interests. In the beginning of this article, it was mentioned that duplication of data is detected in this technology, thanks to hash. This is made use of in bitcoin when it is to be ensured that the same bitcoin is not used in different transactions at the same time. A history dataset is maintained to track the transactions made. The block chain uses the CPU power to approve new blocks and reject blocks that are not valid. When maximum miners approve a block, it is added to the chain, time-stamped and its data also entered. Digital security is one of its applications. All your online identification data will be safe and maintained under block chain, reducing all the fraud and hacking. Identity verification is done through public cryptography.The main check is if the transaction was signed using the correct private key. Examples of where digital identity is commonly used- Banking, Passports, Birth Certificates, Wedding Certificates, IDs, Retailing, Email, Citizenship documentation, National Security, etc. Cloud storage is already popular and is very much used among students, corporates, employers, employees, scientists, data analysts, and just everyone else. In distributed cloud storage, the storage provider system will decentralize meaning just a single provider will not have a hand on all your data. Two startups of distributed cloud storage- Storj.io and factom. Storj is in its beta stage of trying out a network powered by block chain to improve cloud security and also to add the facility of renting out of excess storage space, creating new marketplaces and Airbnb-style to the users. A new idea in the discussion arena that seems to be fast arriving is the smart contract. They are legally binding contracts which are programmable, and are recorded on the block chain. These contracts are implemented as variables and statements. These can give out funds using the bitcoin network instead of depending on a single authority. The variables and statements will be like 3rd party executors. This will have us seeing in the future, more efficient business and more equitable legal system. Every record and block creation is taken note of in the form of time-stamps. This validates entries, data and thus, hash. It certifies that something exists and at a certain time and this can be used in a court of law. Thus, your documents on the block chain will be considered valid in a distributed manner. Now this is an application for the citizens and the country as a whole. Security has always been an issue in the topic of voting and elections. Your vote may or may not be secure. However, in this digital voting system, a voter can check if his or her vote was successful and is still anonymous and this done via the block chain technology. Liberal Alliance, a political party from Denmark used this system for the first time in 2014. This one is a 100% decentralized version to Ripple. This technology can manage 1000 transactions per second without much toil, and also transfer million dollars for the price of just a few pennies. It is unimaginably scalable, has great partnerships and has a clear use case. CEO of Stripe and CEO of Y-Combinator are investors of Lumens. Termed �The Ethereum Killer� and �Ethereum on Steroids�, this technology is fully programmable. It doesn�t demand transaction fees and can also manage million transactions in a second. It is very much scalable and programmable. A new emergence which is highly scalable and can perform instant transactions is RaiBlocks. It employs a new kind of architecture which is based on directed acyclic graphs. This method has also been adopted by a few cryptocurrencies. An added bonus is that there is no transaction fee for transfer of currencies. An alternative to Block Chain is Cryptominded which is highly recommended as it is a curated directory containing the best of cryptocurrency resources. HASHGRAPH TECHNOLOGY � What is it? Hashgraph Technology is a new type of distributed ledger technology pretty similar to blockchain technology. With all the same features of a blockchain of transmitting data, storing data and validating transactions, it does the same through different mechanisms. Hashgraph when split simply is hash and graph and this split has quite a lot of significance in the sense that hashgraph is actually a mathematical graph linked by hashes. They employ a simple concept and doesn�t use advanced cryptographic ideas. Hashgraph was found by Leemon Baird. Hash is a function that we know from its usage in block chain. Hash is used to map data of all sizes, (arbitrary or fixed). The results obtained fromhash function are of the form- hash codes, hash values, digests and just hashes. Hash functions are known for their useas data structures called hash tables in quick data searches through computer software and mainly used for the detection of duplicated data and entries while increasing the data search efficiency. Hashgraph technology is a system that is more robust and distributed consensus, which looks like the future of data security, storage and transactions are also provided a platform by hashgraph through its consensus algorithm. What are its similarities with block chain? Both are easily transactional, flexible, distributed, transparent and consensus-based. What are the added features of hashgraph then? It basically enhances the best features of blockchain- it is more secure, faster and fairer. Gossip about Gossip - A gossip contains two hashes holding information that the last two users interacted with. Gossip about Gossip is adding a tiny amount of additional information to the latest gossip. Virtual voting - Virtual voting is done after the hashgraph is complete. The data of what each node would vote is easily deciphered using the completed hashgraph and this data is then used to find the results of transactions that have reached consensus already by putting node voting data as input to a voting algorithm. These two concepts get all the nodes to come to a single consensus on the network�s state and this consensus includes information on data of who handles and owns what, etc. The manner in which they broadcast their information in a one-on-one interaction tightens security and protects the technology and data from hackers and other malicious agents. It also prevents the withholding of information on transactions which is often done by users either by mistake or cunningly in an intentional manner. The hiding of information can be the root for an attack on any network based on Distribution Ledger Technology. As we know, the time of recording of the information is stored in a hash and hence this is used to enhance security while sharing information as in �Gossip about gossip�, the hashed values are included in the shared information between nodes. This now helps in sorting the order of node receiving an information piece. Hence, it is very difficult to fake any transaction. Getting every node to vote and confirm a transaction will take longer time. To get a faster validation, what hashgraph does is to scan all the hashes to obtain the information on what data each node received and what time. This leads to the virtual voting also referred to as �vote-less voting�. The assumption is therefore made that a node�s vote will not contradict any of the information on the network�s state. Through both these concepts, you can get the perfect consensus which is mathematically proven. Therefore, just like block chain technology, hashgraph technology conveys all of its information on current transactions and transactions from the past to its fellow or neighbor nodes. Once all the information sharing is complete and at least two-thirds of the network has in it the entire knowledge, it almost resembles a competition of which node solves the complex problems or in other words, carries out the next transaction and gets rewarded. This entire concept is called �proof of work�. As soon as that transaction is done and the node is successful, it informs its neighbor nodes and the other nodes stop working on that particular transaction and the chain continues. But before this block of new transaction is added to the chain, it has to be validated by the rest of the nodes to prevent fraud and duplication. We now know that the manner of node to node interaction, gossip about gossip and the very efficient virtual voting. Messages are optimized as they are being sent around. The main reason though is that hashgraph functions in a permissioned setting. What does this mean? There are two types of settings that these networks can work in- permissioned and non-permissioned. In permissioned setting, private distribution ledgers all the nodes are designed and known before arbitrary participants try using the network. It prevents the probability of a Sybil attack and helps arrive at the consensus. A Sybil attack is a malicious plot of a single user generating several entities trying to influence and manipulate the consensus and this gives them an opening for double spend attacks. So, through permissioned setting, one need not include a Sybil attack resistance mechanism separately, also increasing the throughput. The knowledge of participating nodes is not known prior to the consensus process in a non-permissioned setting and so is not reliable as it becomes an open door through which any node can walk in (into the network) and walk away (from the network) as they will. This is now a platform all sorts of malicious attacks including Sybil attacks. Let�s say, non-permissioned setting is employed and the attacks occur and so, defense mechanisms are used, but this will decrease the overall throughput not aiding anything. Byzantine Fault Tolerance (BFT) is the dependability of a computer system employing distributed ledger technology which is fault-tolerant for when there is wrong or incomplete information or when components may fair or are failed. Hashgraph technology has asynchronous Byzantine Fault Tolerance but is not deterministic. What do we mean by that here? The cause or factors for the faults are not known or are not easily determined through BFT. A consensus process under the BFT setting is said to be either deterministic non-completely asynchronous or non-deterministic asynchronous. In deterministic processes, all the network�s nodes arrive to the consensus by the round �r� for a constant assigned beforehand, �r�. In a non-deterministic setting, there is zero probability that a node is undecided even after completion of r rounds as r nears the values of infinity. In synchronous setting, there is a certainty of messages being delivered after a certain set limit which cannot be said about asynchronous process though.Now though all of this seems like it must come under the disadvantages, hashgraph has its slight twist.Hashgraph technology adds a bit of randomness to its non-deterministic asynchronous process. The consensus protocol is said to terminate gradually but it is always unknown as to when the termination might occur. The present version of Hashgraph in trend uses the concept of the digital signature (analogue of coin toss) when nodes need to take decisions. That occurs only whenthe consensus is not being able to be reached. This shows how the zero probability analysis was made. Using the analogue of coin toss, we can say that there is non-zero probability of all the nodes in a network to hold the same value after multiple rounds of coin toss because when time passes, all the real nodes are said to become unanimous. But if the nodes in the BFT setting disrupt or interfere by manipulating the gossip section, the efficiency and high results becomes doubtful as the number of rounds will continue to increase to arrive at the consensus. It is a very fair technique. We know how the time of every information exchange between nodes and transactions are noted which is called time stamping. This leads to fairness in the aspect that it notes down which transaction reaches at least two-thirds of the network first as the first one and the time is noted in the hash. This makes the system fair as decisions made by the system now will be based on a majority and no one can neglect or cheat with the data being known to the majority. It is disadvantageous that hashgraph employs one-on-one interaction in this case. When a user (node) shares its information in succession to its fellow nodes in an order chosen by itself, it could choose the wrong nodes (might be malicious or under the Byzantine setting). The harmful nodes may or may not pass on the information as supposed to and two-thirds of the network will not come to know about the occurrence of that/ those particular transaction(s). This will be unfair to the user who began this chain and to the users who took care of those transactions. It can also be a difficult task to get every node to interact with only the honest nodes as a node or user cannot know for certain which ones are honest and which ones are not. This means that a node cannot surely know when the information is being shared to a honest node and when it is being intercepted by a Byzantine node. This has been noted to be a problem for the future when this is becomes a public platform as it is de-centralized and will be operated by multiple users (nodes). WILL HASHGRAPH REPLACE BLOCK CHAIN IN THE FUTUTRE OR BE CONSIDERED TO BE A BETTER ALTERNATIVE? 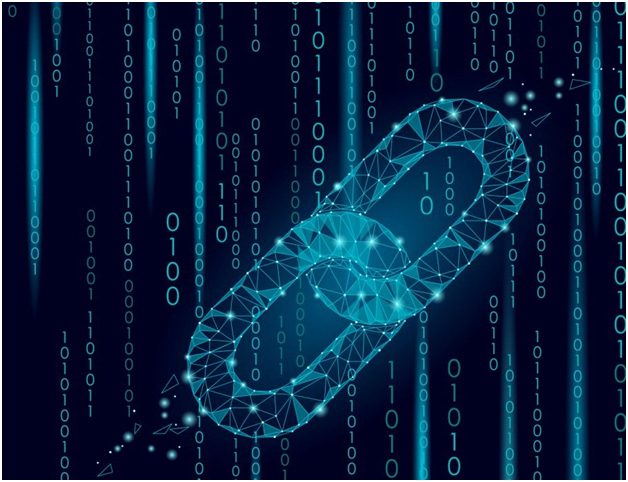 Block chain has been viewed as an invincible and incorruptible technology of economic value as it can, not just record financial transactions but other virtual exchange too. Being decentralized and shared, the data is continually kept in check ensuring that the entire network has all the data known thus has very little loopholes. Hashgraph, like we have discussed has every one of these details with its own loopholes but is considered to be superior as it has capabilities to solve the loopholes of block chain. Block chain has a series of interconnected and interlinked blocks whereas hashgraph is all about a chain of events. All its data are sorted into events with every transaction acting as an event and the event details being recorded as the details of the parent hashes, its own timestamp and new details. Hashgraph has multiple rounds of events and it takes a huge amount of time to decrypt the hash function thanks to the randomness and all of this adds to its complexity. Hashgraph is low maintenance though as it can hold onto all the events unlike block chain which needs to periodically recycle its blocks. It also discards the blocks when two miners come up and contest two similar blocks. We can call block chain (say, Bitcoin or Ethereum) as the best alternative for hashgraph and maybe vice versa in the future. Hashgraph�s design is said to have been based on �FFM� which is fast, feeless and miner less with it producing almost 4000 transactions per second. It is considered to be the leading technology amongst DAG based block chains. DAG is Directed Acyclic Graph. But whether all of hashgraph�s characteristics add up to make it efficient or not is something that can be answered, for certain, only in the future.